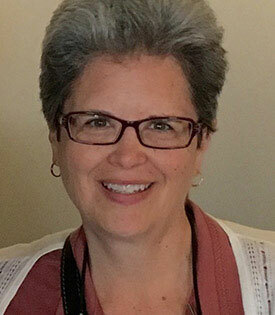 Kate Geiser, LCPC, graduated from the University of Arizona (Tucson) with her Master’s in Counseling, with a specialty in working with people who are deaf or hard-of-hearing. She is fluent in American Sign Language (ASL), and taught ASL at the university level for several years prior to graduate school. Kate is a Licensed Clinical Professional Counselor in the State of Illinois (license #180-003199). She has over 20 years of experience as a therapist, and has worked in a wide variety of treatment settings, including outpatient mental health clinics, an inpatient psychiatric hospital, and in the private sector. In 2005 Kate completed a one-year, post-graduate training program in Clinical Practice With LGBT (lesbian, gay, bisexual, transgender) Individuals and Their Families, from the Chicago Center For Family Health. Kate believes that people have primary responsibility and accountability for their own lives, and that within each of us is the power and capacity to make choices that will lead to happiness and fulfillment. However, sometimes there are obstacles that must first be overcome in order to arrive at the point in life where healthy choices can be made. These obstacles can be such things as relationship problems, depression, grief and loss, anxiety, parenting challenges, or sexual identity issues, to name a few. Whatever your obstacle is, it can feel overwhelming and debilitating. Counseling can be thought of as the bridge to help you get from where you are, to where you want to be. In their work together, Kate assists her clients along their journey of self-discovery as they learn how to empower themselves to overcome their obstacles. They then are able to make choices that will lead them to the life they want to have. Kate often utilizes a therapeutic approach designed to help clients learn to understand the relationship between their thoughts and feelings. By learning to “re-think” and perceive situations differently, people can also change how they feel. This Cognitive-Behavioral approach has been extremely effective for many, many clients. Depending on the specific situation, Kate’s counseling style may involve a psycho-educational approach, teaching such techniques as anger management, stress management, communication skills, conflict resolution skills, coping skills, relaxation techniques, etc. We are all individuals, and different people respond to different approaches. Above all, Kate tailors her style to match the individual needs of each client. Kate’s life philosophy incorporates a lot of humor, and she operates on the premise that humor is an essential component to the successful navigation of life’s hills and valleys.